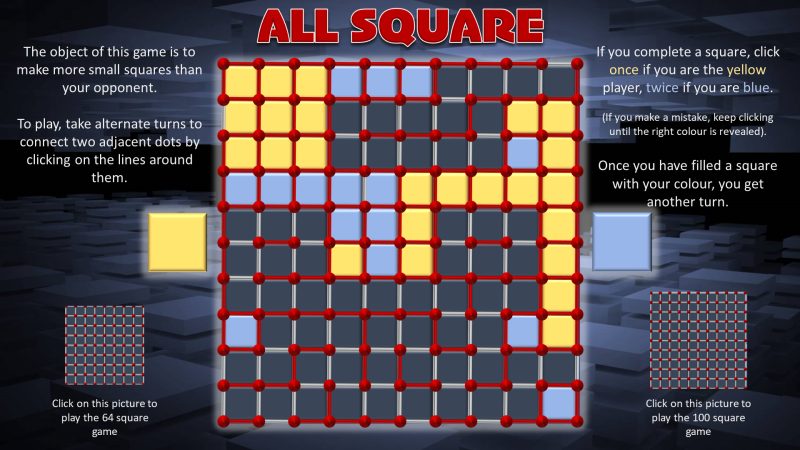 This is a 2-player PowerPoint version of the traditional ‘Dots and Squares’ game. 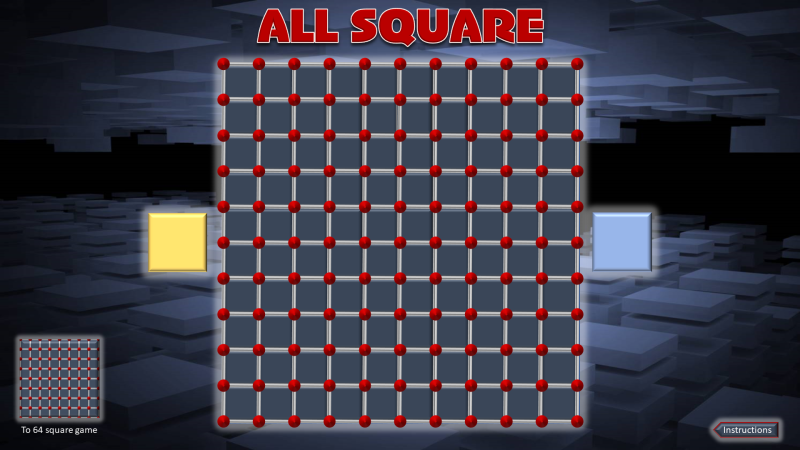 Make a square by clicking on the lines, then fill it in with your colour. 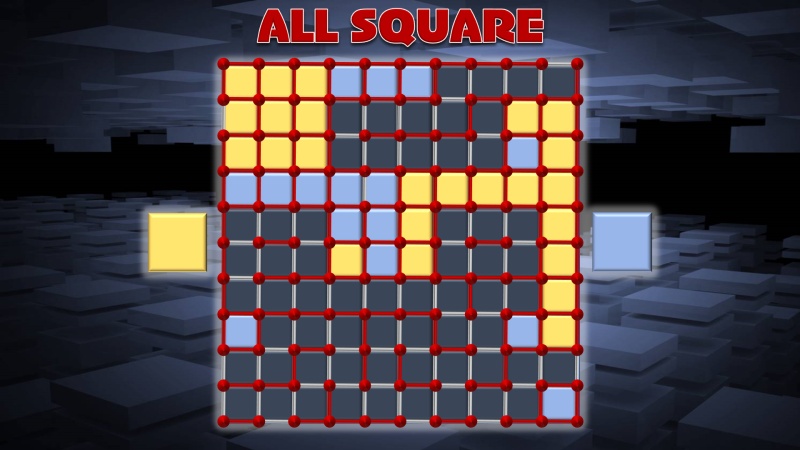 Fill more squares with your colour than your opponent does with their colour and you win. 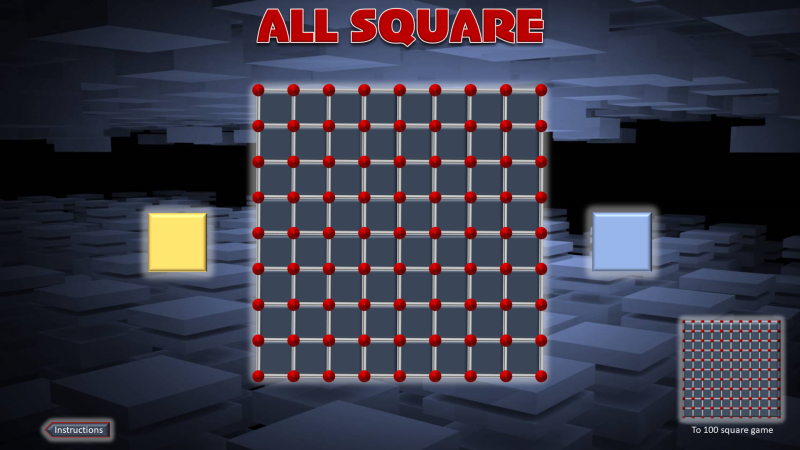 It’s a game that starts off quite slowly, but gets more exciting as it progresses.